This month (November) is American Diabetes Month and brings with it a focus on stopping this growing disease. The American Diabetes Association reports that over 26 million children and adults in the United States live with diabetes. An even more staggering statistic is the number of Americans at high risk for developing the disease. That total is estimated to currently exceed 79 million people. Diabetes is having a dramatically negative impact on the physical, emotional and financial welfare of this country. Diabetes can be detrimental to your vision and overall eye health. Regularly scheduled visits to your optometrist are essential in helping to detect the disease and preventing or treating diabetes-related eye problems if you have been diagnosed with diabetes. Diabetes is a disease caused by either (1) the inability of the pancreas to produce a hormone called insulin or; (2) the body’s inability to use the insulin properly. When you eat food or drink a beverage, the body’s digestive system begins to break down the food into sugars or glucose. The sugars pass into the bloodstream and are transported to the body’s cells via insulin. High blood sugar associated with diabetes causes the lens of the eye to swell and may blur vision. To correct this type of eye problem, blood sugar levels must be controlled and restored to normal levels. The blurred vision from high blood sugar levels is typically a temporary situation and a corrective lens is not necessary. The three (3) most common eye problems that may develop as a result of diabetes are Cataracts, Glaucoma and Diabetic Retinopathy. 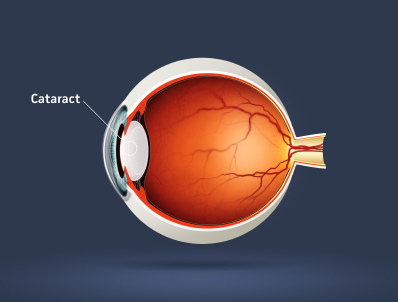 Anyone can develop cataracts (clouding of the lens of the eye). However, diabetics are susceptible to developing cataracts at younger ages. In addition, cataracts are likely to progress at a more rapid pace with diabetics compared to people with cataracts that do not have diabetes. Glaucoma is a build-up of pressure in the eye due to the inability of fluid to drain properly from the eye. The excess pressure damages nerves and blood vessels in the eye and impairs vision. The duration of one’s diabetes is the most contributing factor to the development of diabetic retinopathy. Therefore, the longer a person lives with diabetes the more risk of this serious eye condition. Diabetic retinopathy is damage to the blood vessels in the retina of the eye as a result of diabetes. (1) People with type 1 diabetes should have a dilated eye exam by an ophthalmologist or optometrist within three to five years after diagnosis. (2) People with type 2 diabetes should have a dilated eye exam by an ophthalmologist or optometrist shortly after diagnosis. (3) Annual eye exams should be done with both type 1 and type 2 diabetes by an ophthalmologist or optometrist; more frequently if necessary. (4) When considering pregnancy, women with a history of diabetes should have an eye exam prior and during pregnancy. This does not pertain to women with gestational diabetes. 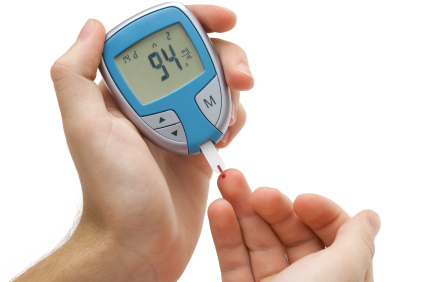 Your optometrist can play a very important role if you have been diagnosed with diabetes. It’s important to notify him or her of the disease in order to formulate a plan to keep your vision clear and your eyes healthy.